Finding the perfect senior living facility for older family members is a big decision. It’s important to choose a place that offers everything they need, from daily assistance and personal care to social activities and safe, independent living. Middleton Senior Living, a retirement home in Granville, OH, offers options to accommodate every person’s individual situation. They will answer all your questions about their assisted living and senior housing options to help you choose the care option that’s best for your loved one. 1. What Is the Resident Admission Agreement? The senior community requires the resident to pay a deposit, which typically amounts to one month’s fees. The agreement is set for one year, and fees are paid on a monthly basis. If the resident needs to change housing due to a health condition, the facility requires 30 days’ notice. 2. What’s Included in the Residence Fee? The fee includes utilities, meals, weekly housekeeping, and laundry service, as well as various programs, including social, religious, and fitness options. It also covers access to a 24-hour nursing staff and other medical services, such as an emergency response system and transportation to medical appointments. They also have shopping and other off-site outings available. A community fee is necessary for phone, cable, internet, and life share services. The retirement community offers many features for residents to enjoy, including a fitness center, beauty salon, and theater. Seniors can worship at the facility’s chapel and stroll its scenic walking paths. Middleton Senior Living is a pet-friendly environment, allowing small dogs and cats to live in the community. The meal plan serves three chef-prepared meals daily, with flexible dining times and extended menu options. Convenient parking is available for residents and their guests. 4. What Is Daily Life Like? 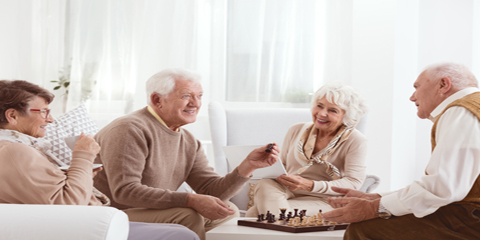 The senior community offers various plans to suit every level of independence. The facility plans an array of social activities, from crafts and games to exercise classes and outings. The retirement home also offers assistance with daily tasks like shopping and dressing. Seniors will make new friends and maintain a high standard of living while receiving the care and support they need. Whether you’re looking for an independent senior living facility or assisted living with care options from a licensed nursing staff, Middleton Senior Living will meet your needs. The retirement home offers professional daily care and security along with social activities and amenities, prioritizing an excellent quality of life. For more information about their care options, visit them online or call (740) 281-1169.